Do you thrive in an environment focused on innovation, continuous delivery and test automation? Interested in building platform services in the cloud supporting eCommerce systems at massive scale? The Order Management team at Expedia is looking for a self-starter to help lead our team building and deploying the next generation of Order Management systems. You are not only skilled at programming but an excellent communicator with a bias for action. You have focus and strong sense of ownership. Over time you will grow into a key technical resource capable of full stack development as well as driving cross-team design and architecture reviews. You are a voracious learner, especially in the areas of technology, service design patterns and system architecture. We are a global organization but keep our feet on the ground so we can act fast and stay simple. Our teams also have the chance to give back on a local level and make a difference through our corporate social responsibility program, Expedia Cares. 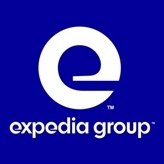 Software Dev Engineer 1 at Expedia, Inc.